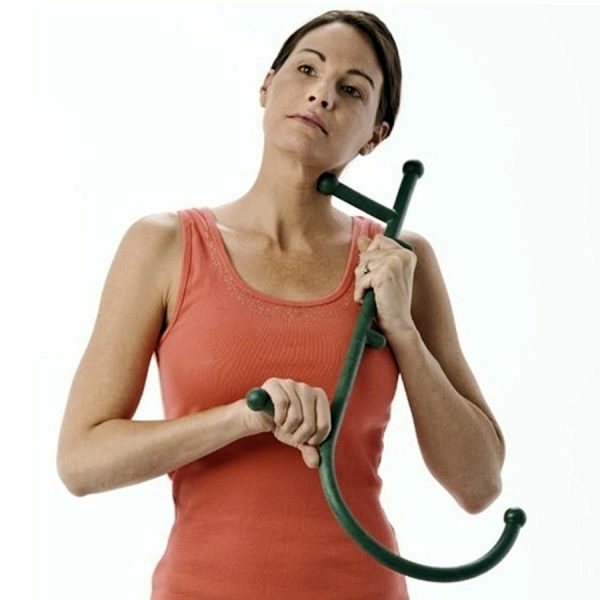 The Cane Massager by Theracane is a device for serious muscle therapy. Great for neck, upper and lower back treatment. Available in standard and travel (MAX), which is a 2 piece version that can be taken apart for easy storage. 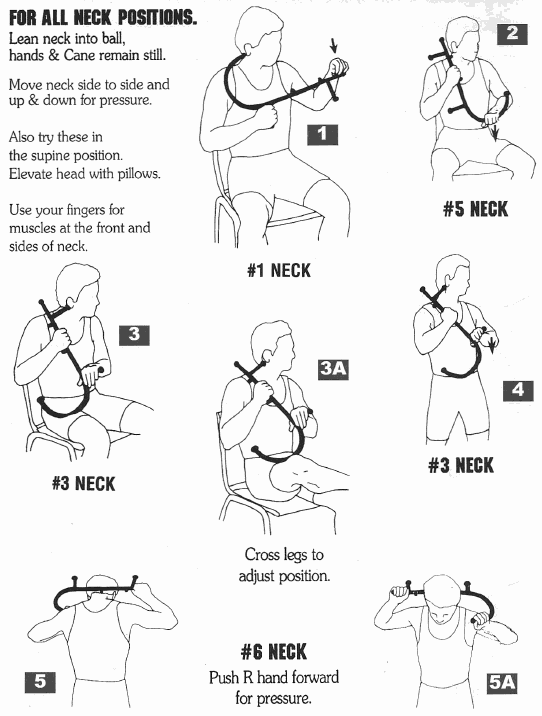 Theracane is a great tool to treat your own neck and back pain anywhere! Using 2 ends of the cane and six knobs, the Cane Massager by Theracane is a device for serious muscle therapy. 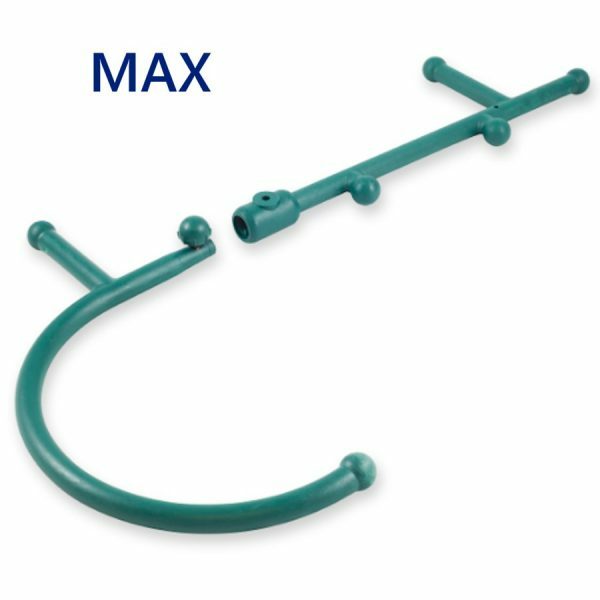 Great for neck, upper and lower back treatment without lying on a tennis ball or bending and reaching and pressing on a door knob. Available in standard and travel (MAX), which is a 2 piece version that can be taken apart for easy storage. 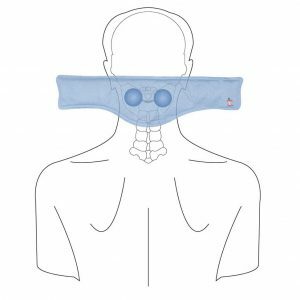 What is the TheraCane Massager? It is a unique tool to apply pressure to tender areas in muscles often called myofascial trigger points. 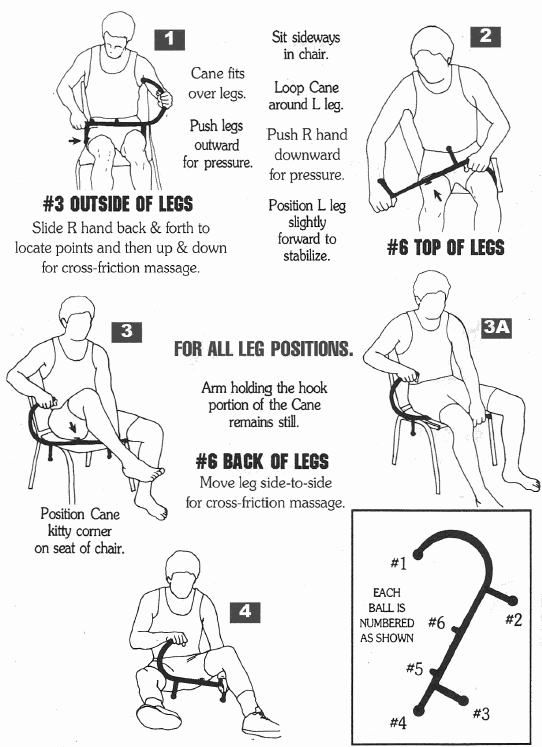 It enables you to treat just about any muscle that requires attention on your own, without a massage therapist. The design is simple but very effective, making it quick and easy to use without strain. 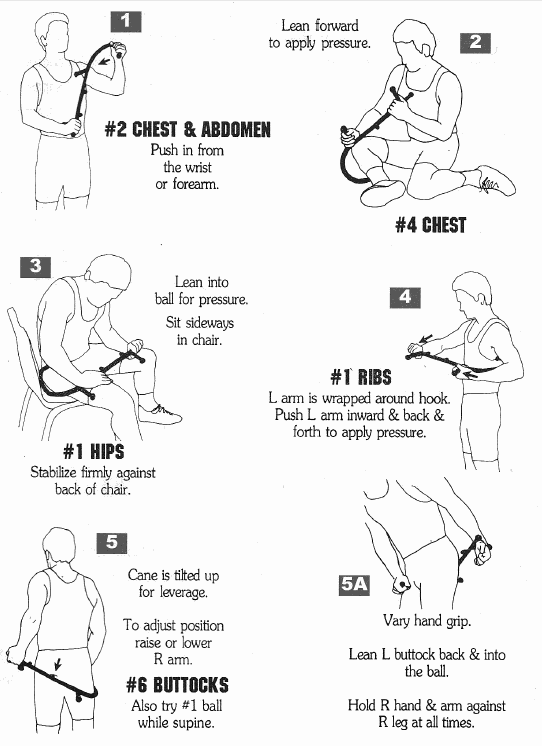 No need to get in awkward positions and postures to get at that gnawing pain. 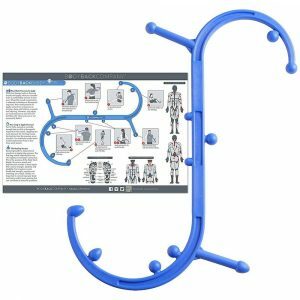 With the cane massager, you can produce a deep pressure to stiff and tender muscles or areas of trigger points effortlessly. 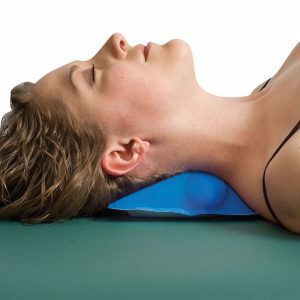 Easily get between the shoulders, neck and back muscles to obtain pain relief anytime – anywhere. Using leverage provided by the Thera Cane, you don’t need to worry about weakness or lack of mobility in joints producing painful stretching to get at difficult to reach locations. How Does The Cane Massager Work? 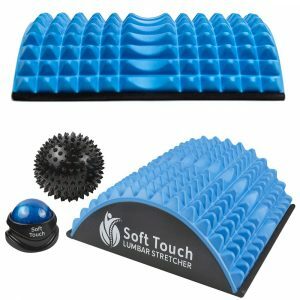 An amazing, simply effective massage tool affords easy pain relief using deep pressure directed towards stiff and tender areas in muscle, sometimes called trigger points. Using mechanical leveraging, the massager provides powerful massage therapy without having to use muscular force or stretching painful joints. 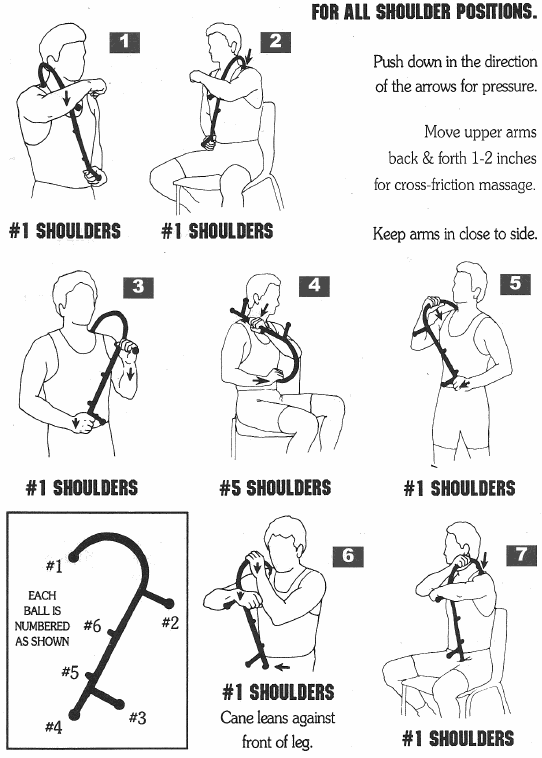 Easily massage between the shoulders, neck, upper and low back, arms, legs and more! A deeply applied pressure using the 2 ends and 6 knobs improves blood circulation to tender muscles, aiding in the restoration of functionality. Damaged muscles from improper healing, overuse and chronic pain can often be associated with poor or improper healing. If you cut your skin, it bleeds and there is pain and inflammation. You place a bandage on it and it will form a scab and when the scab falls off, there is a scar. A strain of a muscle is a tear, similar to a cut. Scar tissue, when not properly healed, will not align properly with the muscle fibers. 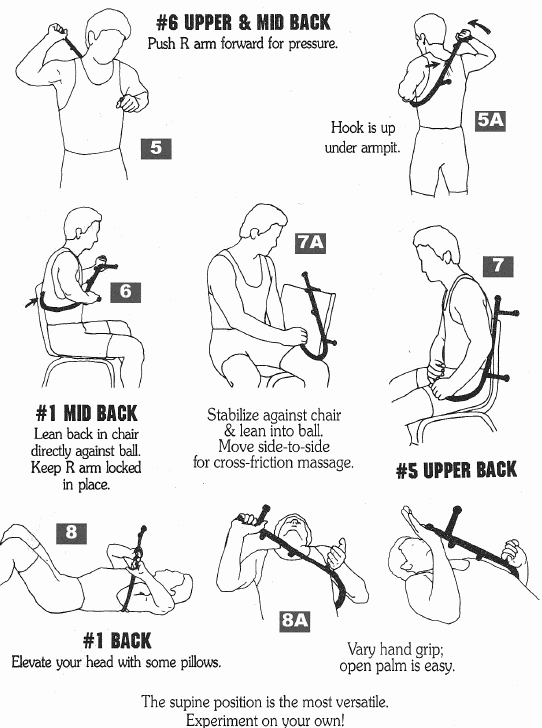 This reduces the muscles ability to achieve normal motion. Scar tissue can also form adhesions which adhere to soft tissues, including muscle tissue, tendons, which attach muscles to bones, and nerves. This causes the decrease in function and, especially when adhered to nerves, can cause pain. 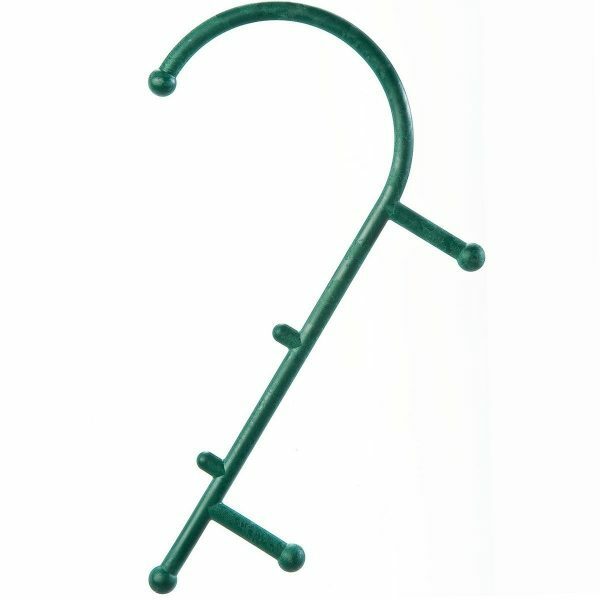 The Thera Cane gets deep into the muscle to help break up the adhesions, increase blood circulation, restoring loss of motion and relieving pain. 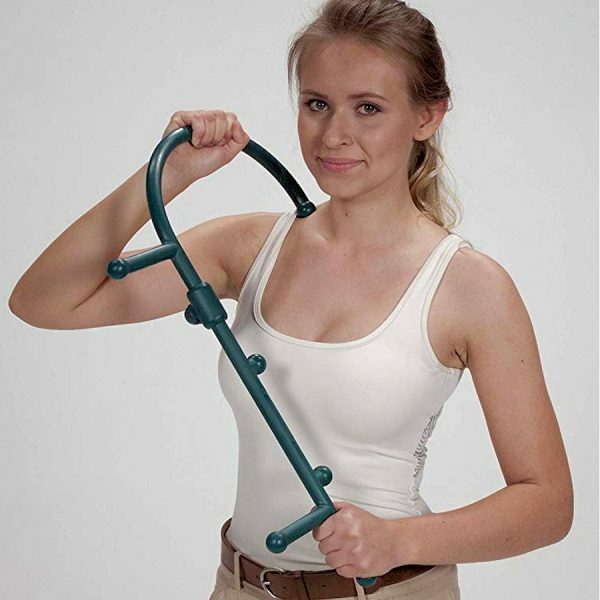 The cane massager helps to provide pain relief associated with stiff and tender muscles. Targeting trigger points that develop from chronic muscle problems, these trigger points are areas in the muscles which are tender to the touch and often will causing radiation of pain into other areas, similar to a herniated disc which pinches a nerve in the back causing pain to radiate down your leg. A trigger point in the shoulder can cause pain to radiate into the arm. 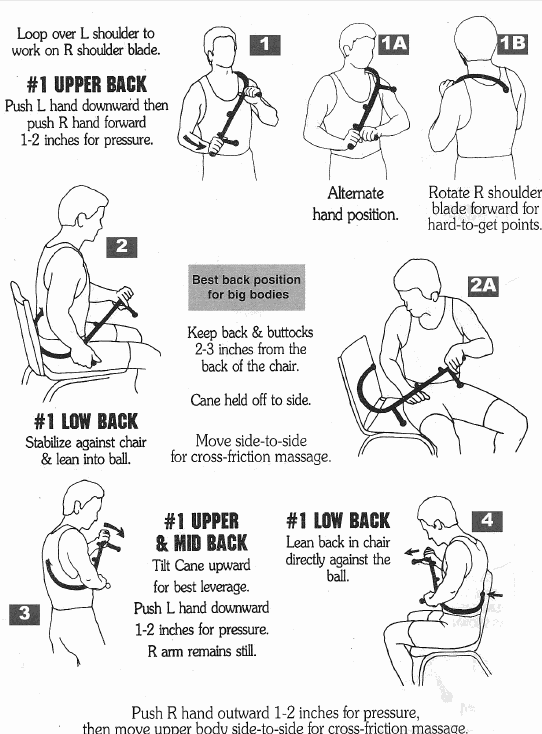 Treating them can be difficult, but with the massager, it is much easier. The treatment may cause some soreness and discomfort, but there is no way around this, unless you want expensive medical bills and needles! Standard therapeutic massage will not work. 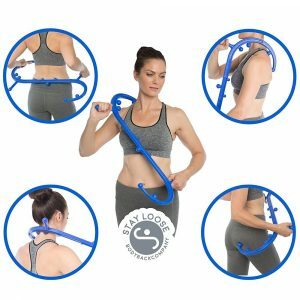 For very difficult and resistant trigger points, you may need medical attention, but the cane massager gives you a fighting chance at a fraction of the cost and makes a great gift idea to help someone you know who suffers from chronic muscle pain. With Thera Cane, you can treat these areas on your own. 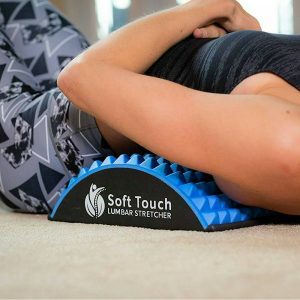 Regular use allows you to quickly locate and provide therapy to these tender and troublesome trigger points for any of the hundreds of muscles in your body they can arise. 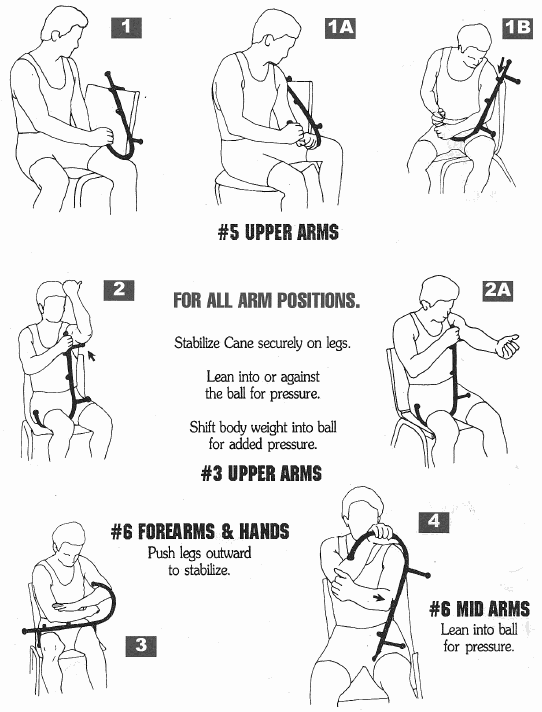 From a crick in the neck to back strain, shoulder stiffness, that gnawing pain between the shoulders, arm and leg muscle cramps or stiffness, the cane massager can help!